After the system’s comm paths have been restored and the servers detect that the volumes are in the Split-Brain state, you will have to perform the Split-Brain Recovery procedure below. Note: If multiple volumes are detected in different resource hierarchies, you will have to perform the Split-Brain Recovery procedure on each volume. Split-Brain volumes that are in the same hierarchy will be recovered together. Right-click on the volume instance icon under the system that will be the source. The Resource Context menu displays. You can also right-click on the volume instance icon in the Hierarchies list in the far left panel. 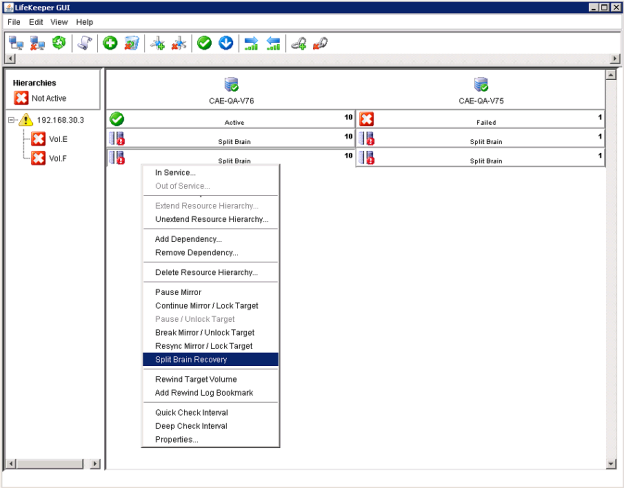 Choose Split-Brain Recovery from the menu, and you will be prompted to select which server should be the mirror source. Select Split-Brain Recovery from the menu. The following warning message will display. 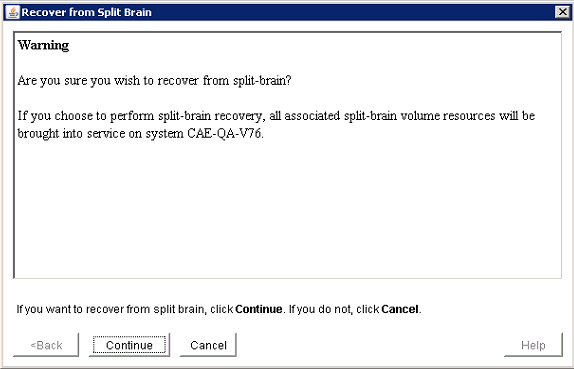 Select the Continue button to complete the Split-Brain Recovery process. 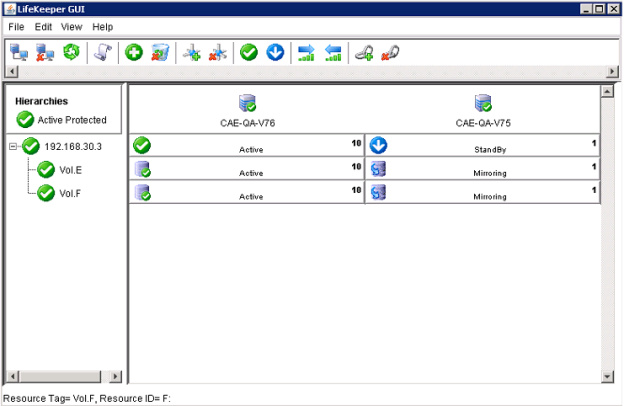 Once the recovery is complete, the recovered resources will appear in the GUI as follows. The Split-Brain Recovery process will be completed when the mirror is re-synced.